The Ness Creek Music Festival is one of the most family-friendly events in the province. Located in the boreal forest where the air is still clear and on a site that is spectacular, it is a festival to take in! 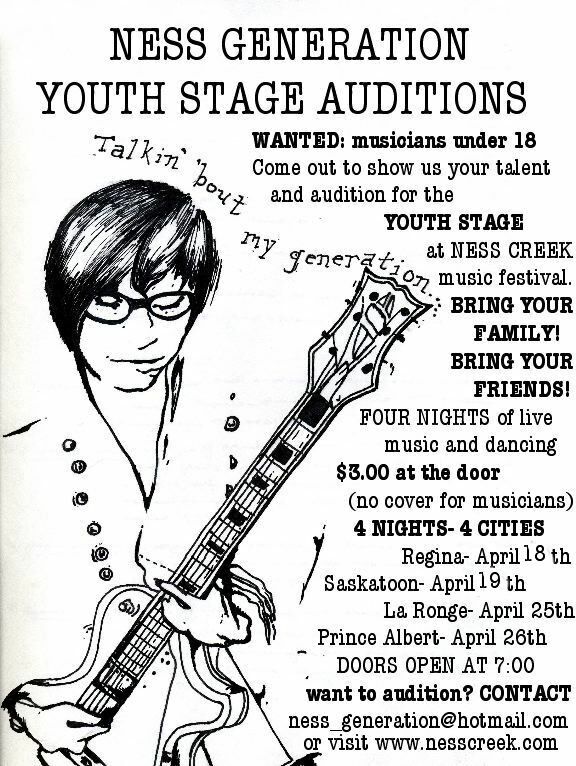 And, the folks organizing it are providing excellent opportunity for young Saskatchewan musicians, aged 13 to 18, to showcase their musical and/or spoken word abilities. I’m wishing I was more than just a few years younger! Have fun, kids!